5 Benefits of Elevated Food Bowls for Dogs: Myths or Facts? 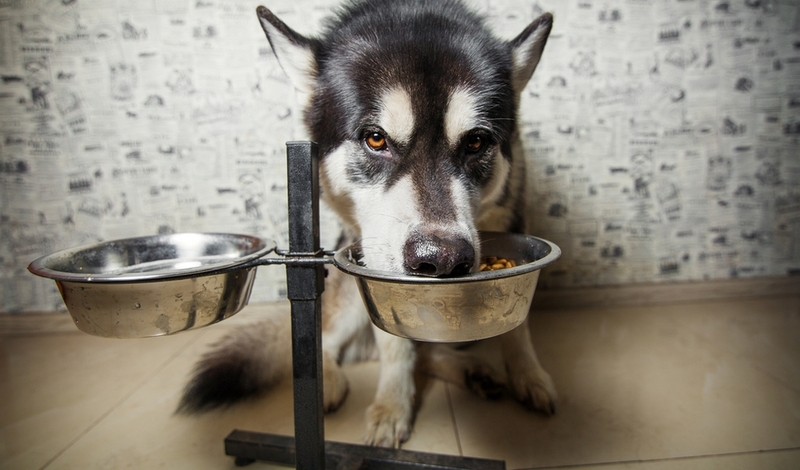 Home Dog Supplies 5 Benefits of Elevated Food Bowls for Dogs: Myths or Facts? Over the years there have been plenty of topics of contention among dog owners – are grains good or bad? Should dogs be spayed or neutered before a certain age? Can they see color? 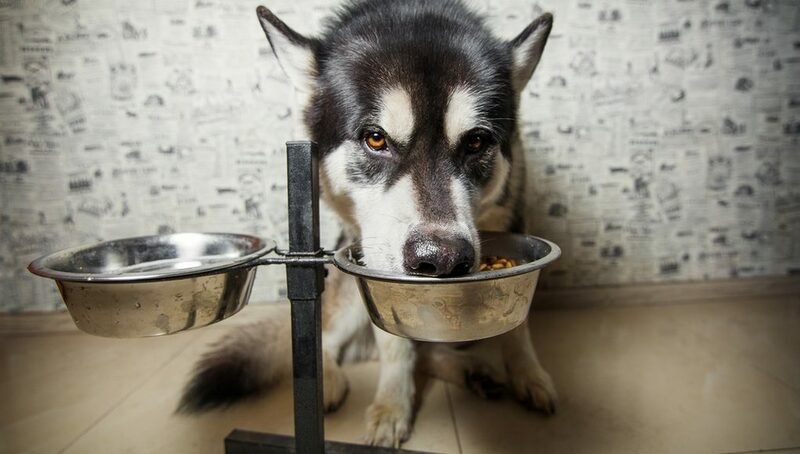 One topic that has repeatedly been questioned, however, is the benefit or detriment of elevated food bowls for dogs, and how these now popular raised dog food bowls affect our pets. What are elevated dog food bowls? An elevated dog food bowl is any type of pet food bowl that does not sit directly on the floor. The actual height of elevation of the bowl may vary based on design. There are elevated dog food bowls (also called raised dog food bowls) that come in set elevations for different sized dogs, and there are adjustable raised pet food bowls that allow owners to choose a specific bowl height. With the popularity of raised food bowls, many pet owners have been wondering if they should ditch their old regular dog food bowls and start their canines on elevated ones due to potential benefits they provide. However, there's more to know about elevated pet food bowls that some sources may lead you to believe. How to pick a raised dog food bowl? If there are different heights for elevated bowls, how does one find the correct and perfect height of an elevated food bowl for a pet? If you decide to switch from regular dog food bowls to using elevated feeders for your dog, the height is the main component to consider and it's essential to select a raised bowl at the correct height. Measuring is key. The best way to measure your dog to get the right height elevated dog bowl is to get your Fido to stand with his legs directly underneath him. From here, get a tape measure and measure from the floor up to the point where your dog’s front legs meet the chest. Alternately, you can measure from the floor up to your dog’s shoulder and subtract between 3 and 6” depending upon his overall height. For larger dogs, you want to subtract 6” where for smaller dogs you would subtract 3”. Just remember: if your aim is to reduce stress on your dog's spine or neck, you should use a raised dog food bowl that is tall enough to do this. However, I recommend to first read this article and do enough of your own research on using raised bowls, and here's why. Elevated food bowls for dogs have been advertised as having many benefits for dogs' health. Unfortunately, not all of those advertised benefits hold true. Let’s take a look at some of these widely spread truths and falsehoods from a scientific viewpoint. When first promoted, raised dog food bowls were sold as something extremely beneficial for larger breed dogs that are at a higher risk of bloating. This view was sold as “science” because it resulted from a statistical study (the Glickman Study). However, this was no proper study and the conclusion was extremely flawed. All that this “study” did was look at the information of other available, non science-based literature and anecdotal evidence that already existed and did no research in to the matter at all. In fact, the largest study on contributing factors to canine bloat in larger breed dogs to date says the exact opposite – elevated feeding may induce bloating in canines, especially in those with sensitive stomachs. 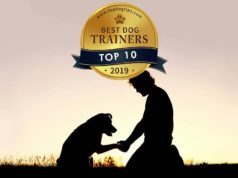 True, this study also wasn't perfect; however, it's the best research paper we have to date on the matter, and from what research the scientific community currently has, the idea that elevated feeders can prevent bloat in large breed dogs is questionable at best. So, do elevated feeders for dogs reduce bloating in larger breeds? The correct answer here would be that we don't know for sure, but it's very likely that they DO NOT. This one is both TRUE and FALSE. One of the reasons why elevated food bowls for dogs were promoted as preventing bloating in large dogs is because they are supposed to create a “healthier eating posture.” The truth is that most likely, dogs have evolved to eat in a head down posture (sources: 1, 2, 3), so eating in a different posture may not necessarily be a good thing. With that being said, in theory, this altered posture can be beneficial in other instances, such as older, arthritic, or injured dogs. 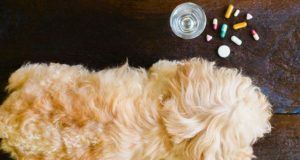 When a dog has a case of canine arthritis, joint pain, or immobility issues, eating with a head down posture can cause excess strain and pain for the dog. By raising your dog's food bowl, your pet no longer has to experience those pains and strains because they are not having to lean down as far to eat. This has not been research though, and is mostly guesswork. So, is elevated feeding good or bad for older or injured large breed dogs? There is still controversy here as I've indicated in the my “theory.” Since the evidence is scare to support the benefits and detriments of each side, it is a matter of owner's preference. Somewhere along the line (probably with new companies trying to sell the “revolutionary” raised dog food bowls and making stuff up) came the myth that elevated dog feeders promoted cleaner eating spaces for canines. We aren’t quite sure where this idea came from, but this one is absolutely false and has no science or even logical basis to it. Because of the way dogs evolved to drink water and consume food, regardless of the height of your dog's food bowl, your pet can still spill kibble, drop kibble, or even move kibble outside of his bowl. When dogs consume food, they have their mouths in a same proximity to the source regardless of its height. There is no science on how elevated dog food bowls promote cleaner eating, nor do we need it; just watch your pooch eat. One concern that some dog owners have is the fact that their dog moves his bowl across the floor as he eats. Elevated feeders can certainly prevent this from happening, and there's no doubt about that. However, it is worth noting that a raised dog food bowl is not the only solution to the problem. Just off the top of my head, two other things that can solve this issue are bowls with rubber on the bottom that prevents sliding, or rubbery dog food mats where you can place your Fido's bowl to prevent sliding (which also helps to keep the area cleaner). Therefore, because we have reasons to believe that elevated food bowls for dogs pose a potential hazard for some breeds to develop bloating, it may be better to choose alternative solutions to the “sliding bowl” problem rather than opt for an elevated feeder. READ THIS: Dog Food Bowls That Slow Down Eating – When Do You Need One? There is one very specific behavioral issue in dogs that isn't common, but can be seen often enough for owners to start looking for solutions – attempting to swim or dig into the water bowls, even if the bowl is small. Some dogs, particularly those with a high predilection for water, spend a great deal of time trying to paddle in their water bowls as if it's pool. There's no explanation to this, other than they just like to be in the water. The issue is most common with puppies. Elevated feeders definitely discourage dogs from turning their water source into a pool. Frustratingly, when I try to summarize my conclusions on the benefits of elevated food bowls for dogs, I have to admit that there are both benefits and detriments to their use. Overall, I would say that potential cons of using elevated dog food bowls outweigh the possible pros (unless you have a very specific reason to use them). So if you are considering using a raised dog food bowl for your Fido, my advice is that you weigh these pros and cons against your specific case and your specific dog before making your final decision. Remember to consider the added cost of raised dog food bowls, especially if you're on the budget dog food diet currently. Say you have a Great Dane and want to use an elevated feeder to reduce the strain on his neck and spine while eating. Science indicates that the use of an elevated feeder in larger dogs that are prone to bloating more easily is contradictory. So, while your Great Dane may not experience strain in his neck from eating at an elevated feeder, the risk of bloating trumps this benefit. Say you have a 14-year-old Basenji (a breed not particularly prone to bloat) with severe case of canine arthritis in the neck, spine, and legs. You want to use an elevated feeder to assist with posture related pain and strain. Common sense indicates that the use of an elevated feeder in this instance would be beneficial in potentially alleviating pain and strain, and would not pose concerns of increased risk of canine bloat. Whatever your decision, definitely speak with your veterinarian before making a switch to a new dog feeder. Explain the concerns that you have and ask for advice on the best methods to fix it. Maybe the answer is elevated food bowls for dogs, and maybe it's not. Hi there, My Bernese Mt. Dog, Bleu, bloated with torsion and just for the record he was eating from a bowl on the floor this time..We usually feed out of elevated bowls, not too elevated, just ornate, cute, wrought iron stands that hold the stainless bowls. We were out of town and don’t take the wrought iron part with us while traveling. So while at home for the past 5.7 years Bleu has eaten out of a raised/elevated food bowl and didn’t bloat until he was fed for 3 days with his food dish on the floor.. ??? I don’t believe elevated bowls contribute to bloat/GDV at all. It didn’t in my case. I was so blessed to know the warning signs and symptoms of bloat and got my boy into emergency life saving surgery, Praise God! He is home with me now and had is staples removed just last week. No set backs and doing great! !